I'm a woman on a mission trying to getting ready for our newest member of the family. Yesterday I cleaned behind our fridge and wiped down kitchen cabinets. I am sure the baby will be inspecting those things when he comes home! I think I just want things clean and organized so I don't have a "to do" list hanging over my head. I just want to enjoy baby time and try to give Katie enough attention also. We are having some fun too. 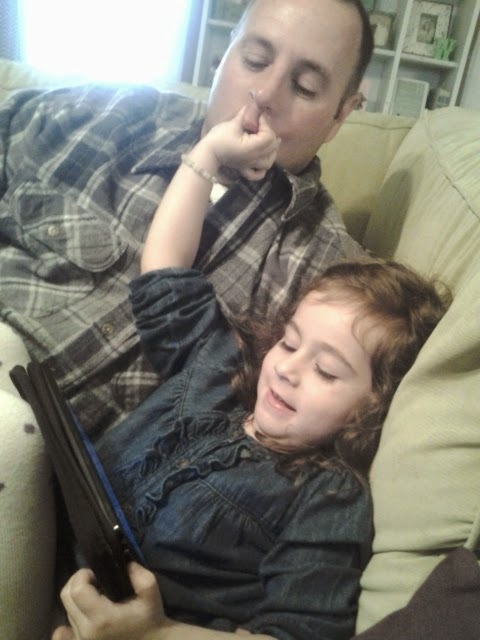 This is Katie and Marcus watching "Let it Go" on YouTube. But then she said "that's enough!" 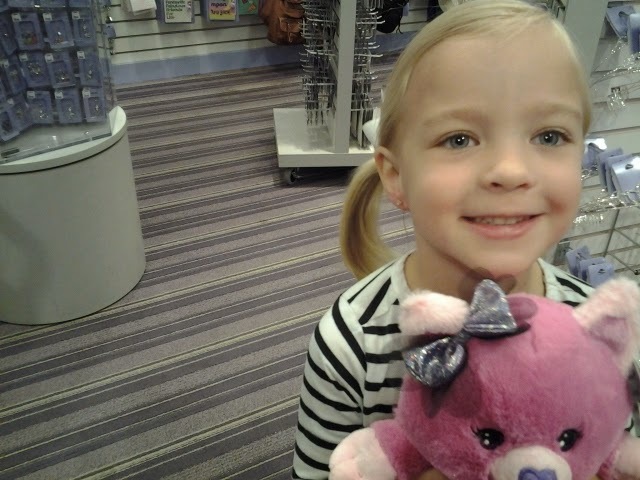 We went to watch Charis get her ears pierced at the mall on Friday! 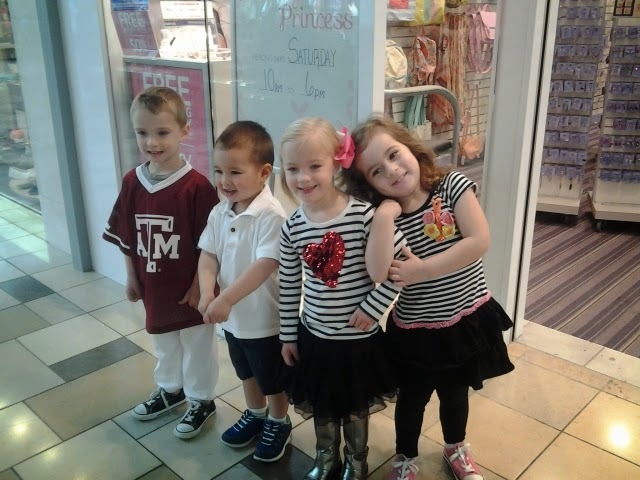 Her brother and cousin came too! She was so brave and didn't even cry! I think Courtney and I almost did though! 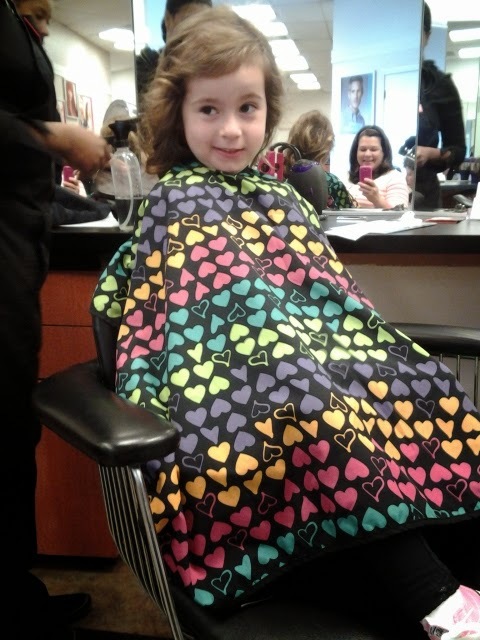 Katie wasn't up for getting her ears pierced, but she did get a hair cut! 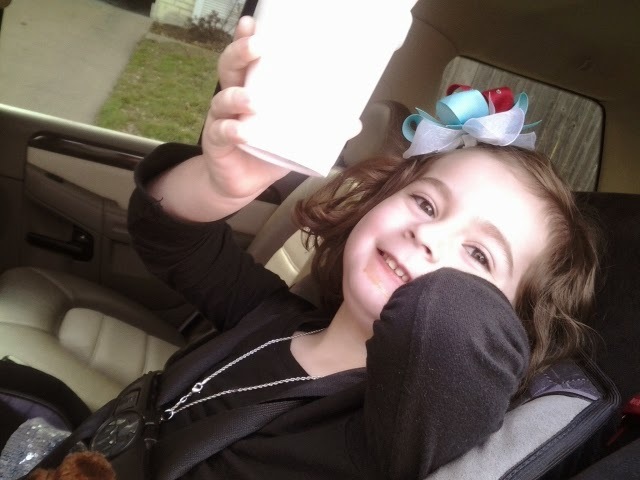 On Sunday, we got our first snow cone of the year! It was in the 50's outside, but it was still good! 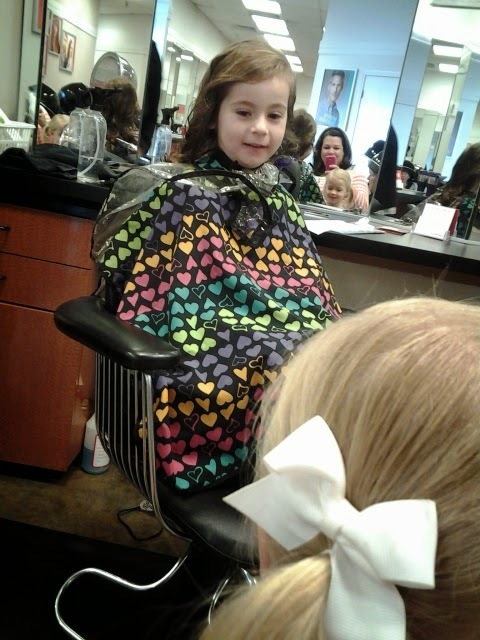 You can see Katie's cute hair cut here. 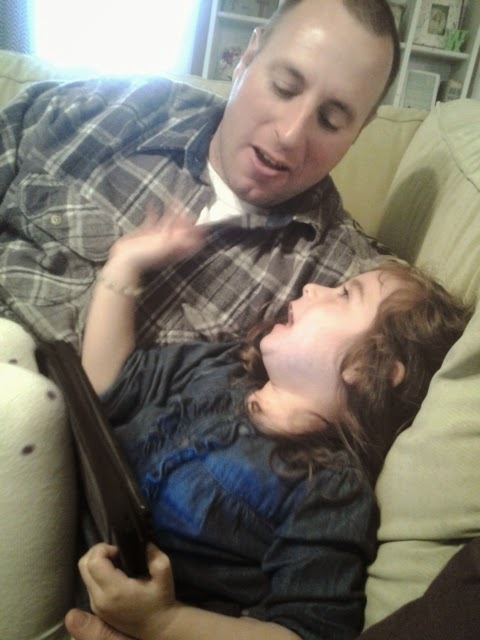 Then on Monday, Katie's friend, Clint, came over to play. She was waiting impatiently at the window for him. She insisted on being a ballerina! The super awesome thing is that Clint came dressed as a ninja! These kids know how to live life! Tomorrow I plan on doing things like cleaning baseboards and washing my couch pillows. Maybe if I dress up like a ballerina it will be more fun? I love her curly hair! 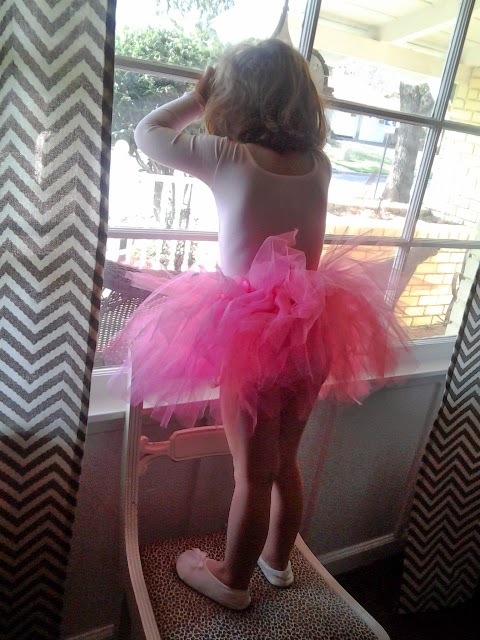 I have to clean my house today, and I wonder what my husband would do if I dressed in a tutu? That alone would make the job more fun! Checking in to see if you are still nesting or cuddling yet? 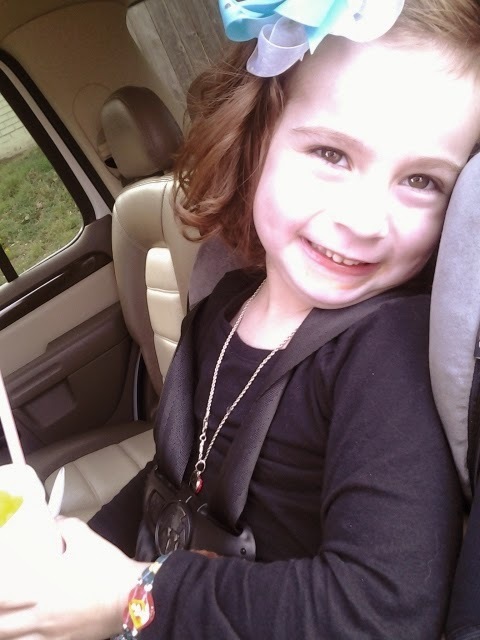 Katie Bell looks so grown up, she is going to be a good big sister. Just catching up on your blog. Yipee it's almost baby time! Enjoy your time at the hospital. Seriously it's a mini vacation. Room service, lay around in bed, watch TV, and get gifts. HUGS! Checking in ... hope all is well. Can't wait to hear baby news!